But the first week proved to be a bloodbath with some of the best local teams, like Ludlow and Ryle, going down early. Week 2 turned out not to be any easier. Nine remaining local teams took the field and only three are still around. The casualties include a tough Walton-Verona team that had dominated teams for the past six weeks, giving up only one touchdown in that span. On Friday, the Bearcats found themselves shut out at home. Scott's losing streak to Johnson Central continued in Taylor Mill and Newport Central Catholic couldn't hold on late. Highlands went down along with Campbell County, Lloyd, and Bracken County. But, the three teams left have been the stars all season. Covington Catholic put up 42 points in the first quarter, Beechwood had no trouble at home, and Simon Kenton put down Ballard early. Quincy Perrin outraced Johnson Central defenders 20 yards to the end zone and followed it up with a two-yard plunge for a successful two-point conversion to put Scott ahead, 8-7, as the first quarter neared completion. 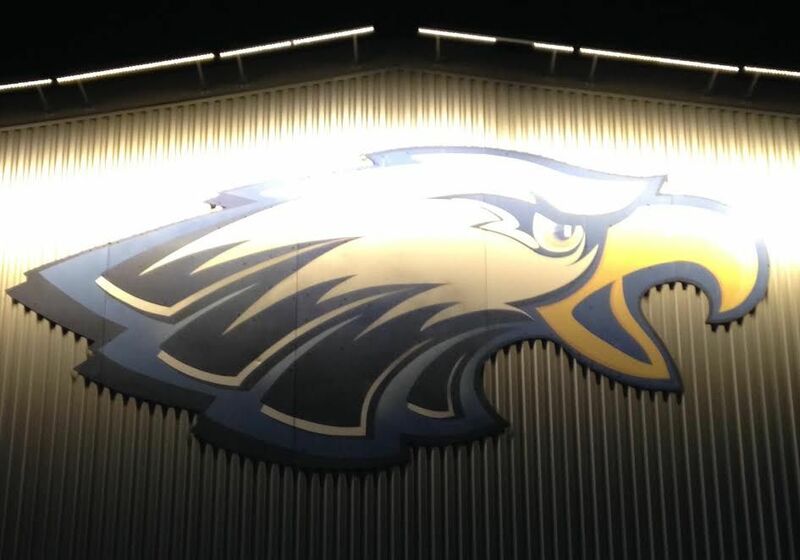 Just maybe, the third time would be the charm for the Eagles to stop their two-game playoff skid vs. Johnson Central. But nearly a minute later with under two minutes remaining, Golden Eagles sophomore quarterback Ryley Preece hit streaking Seth Dalton for a 74-yard touchdown and didn’t look back, eliminating the Eagles from the playoffs for the third straight season, 64-16, Friday night in Taylor Mill. After Scott went three-and- out on its ensuing possession following Dalton’s scoring reception, Preece called his own number around the right side and stretched the Golden Eagles’ lead to 13, 21-8, to begin the second quarter on a 54-yard run. The Eagles faced fourth-and- three on its next drive at the Johnson Central three but Nelson Perrin was stopped short and the Golden Eagles took over. Preece gained 11 yards up the middle and Curtis Dorton added 10 out to the Johnson Central 30. Several plays later, senior Blake Gamble burst through the middle of the Eagles line, adding to the Johnson Central point total, 29-8, after a successful two-point conversion. The Golden Eagles’ strong running attack continued on its final drive before halftime as Preece burrowed in from one yard to give his team a commanding 37-8 advantage at the break. The Eagles opening possession of the third resulted in another punt and more points for Johnson Central. Gamble gashed the Scott defense to put his team inside the 10-yard line after a big gain and Dorton did the rest, converting a second-and- goal from the two, extending Johnson Central’s lead, 43-8. Scott’s David Patrick and Alex Thurza compiled several nice runs on the Eagles’ ensuing possession and they were able to put up points. On second down and 10 near the Johnson Central 40, junior Chad Ohmer spotted Sabeon Turner open near the goal line. The ball arrived in Turner’s hands a split second before two Golden Eagles defenders converged on the play and the receiver fell into the end zone to give Scott its first scoring drive since the closing of the opening quarter, 43-16. However, Johnson Central added touchdowns on each of its next two possessions – one aided by an interception from Evan Adkins near midfield, returning it 30 yards inside the Eagles 20, scoring several plays later. The Golden Eagles ground game tallied nearly 500 yards with Preece and Gamble splitting the majority. Johnson Central moves on to face Ashland Blazer in the third round of the 4A Playoffs. Scott ends its season at 8-4, concluding Nelson Perrin’s career on a night in which the senior was hobbled by a left ankle injury he sustained early in the game. Frankfort had visited Northern Kentucky earlier this season, beating Newport easily, and just last week ended Bellevue's season in the opening round of the Class 1A playoffs. But this visit to Northern Kentucky was not as pleasant. The surging Beechwood Tigers put the Panthers down early, forcing five first-half turnovers, each resulting in touchdowns. Three of those TDs belonged to sophomore Josh Derry, including a 6-yard punt return - a shanked punt out of the end zone that had a big bounce back in the kicker's direction. 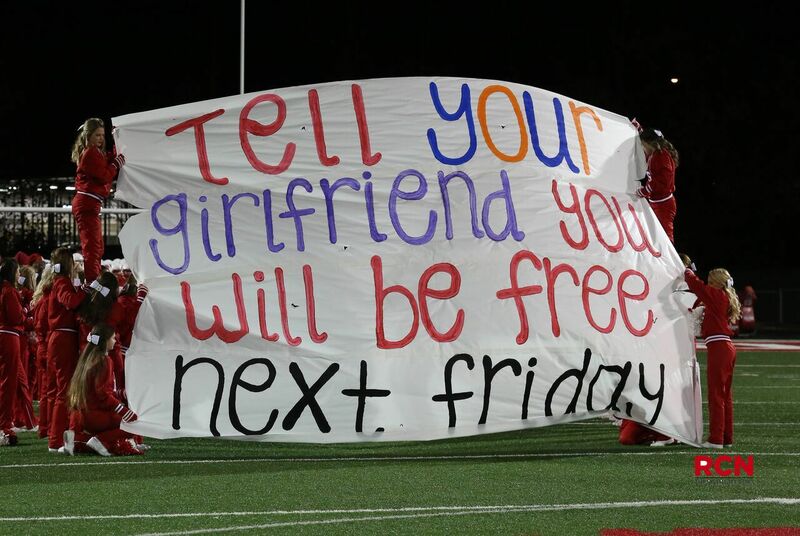 Frankfort stopped the bleeding with a late touchdown, but Beechwood rolled, 47-7. 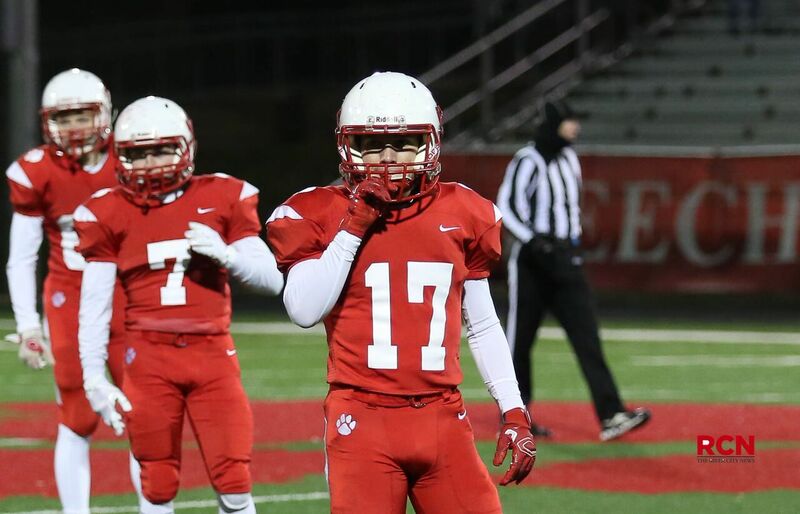 Next week, in the quarterfinals, Beechwood (9-2) travels to Louisville to take on a tough Kentucky Country Day (11-1). Class 2A: Christian Academy 28, Walton-Verona 0. Walton-Verona had embarrassed its opponents over the past six weeks, outscoring them 307 to 7, but there was an offensive break down on Friday night and it cost the Bearcats their season. The visiting Centurions put up a 14-0 lead heading into the half, and tacked on two more touchdowns in the third quarter to put the game out of reach. Walton-Verona finishes its season at 9-3, with seven shutout victories. The Thoroughbreds have had an up and down season, but they were poised to advance to the quarterfinals in an upset of Glasgow, clutching to a 1-point lead late in the fourth quarter. But a touchdown and two-point conversion by the Scotties, who hosted NCC in Barren County, ended the season for the 'Breds. New Cath finishes 6-6 on the year. In one of the most evenly matched games of the night, the Juggernauts found themselves on the losing end. Lloyd finishes the season at 8-4. There doesn't appear to be any stopping the Colonels this season. Cov Cath put up 42 points in the first quarter, running the Cougars out of Park Hills. 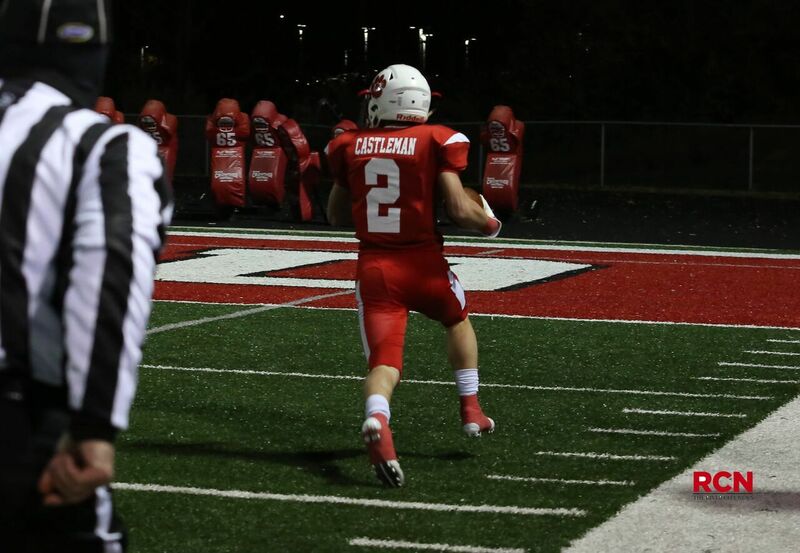 Junior Casey McGinness scored three touchdowns on the night while quarterback A.J. Mayer ran for 33 yards for the Colonels' first score of the game, and also connected later with Michael Mayer for another score. Sam Schuh and Malachi Pike also had TDs on a big night for Cov Cath. Next week, Covington Catholic (12-0) hits the road to face a tough team in South Oldham (10-1), which has won ten straight games, including one in Crestwood on Friday night over Highlands, preventing another postseason clash between the Colonels and the Bluebirds. The Bluebirds had salvaged a tough season with a 3-game winning streak and nearly looked as if they would be headed to a coveted rematch with Covington Catholic next week, but it was not to be. Highlands 34 to 21 heading into the final quarter but gave up two touchdowns and its season, finishing 6-6 on the year. The Pioneers were not courteous hosts in Independence on Friday night, running up the scoreboard early, and leading 38 to 6 at the half. Simon Kenton added two more touchdowns in the fourth quarter in a dominant performance, winning 52-12 over the Bruins. Next week, Simon Kenton (11-1) faces the only 6A team with a better record, undefeated Louisville Trinity (12-0) on the road. This one was never close, with the Shamrocks dominating the Camels, 23 to 7, in the first quarter, and adding three more touchdowns before halftime. Campbell Co. finishes the season at 7-5.